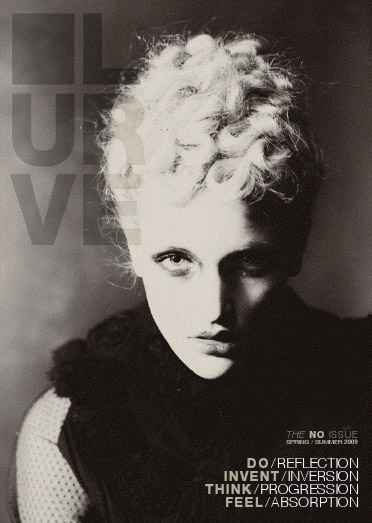 LURVE is an independent magazine, led by a team of passionate people who were looking for a fashion publication ahead of trends and with more depth, yet visually striking. Miles away from the usual fashion glossy, the magazine puts the emphasis on emerging designers and artists, new talents and creators of our future. Crossing the fields of arts, fashion and music, LURVE is the voice of a more demanding generation eager to explore contemporary culture and creation, beyond the mainstream. With a first issue to be launched in April, LURVE embraces an 'Ode to individuality' that celebrates creative pioneers, from Terence Koh to Francine Spiegel, from Meryl Smith to Chadwick Tyler.